Can I find out which seeds need to be scarified? Is your question: "Is there a list of seeds that have to be scarified?" The answer is we don't think so, we have never seen such a list. In case you haven't heard this before, the Lady Bird Johnson Wildflower Center (home of Mr. Smarty Plants) is committed to the growth, propagation and protection of plants native not only to North America but to the area in which the plant is to be grown; in your case, Burnet Co., TX. The point to telling you that is if you are interested in growing a seed of a plant native to North America, and if we have information and therefore a webpage on that plant, you can go to said webpage and look at their propagation instructions. For instance, go to this previous answer which concerns Baptisia alba (White wild indigo). Follow that link to our webpage which gives you specific instructions for when and whether to scarify those particular seeds before planting. As for specific instructions for scarifying, go to our own article on that subject - Scarification FAQ's. This article deals specifically with Lupinus texensis (Texas bluebonnet) but the basic facts on the method remain the same. Bottom line: Every seed has different needs for propagation. Some can just drop their seeds, let them go through Winter underground and pop up in the Spring, no problems or treatments necessary. Others need all kinds of attention and urging to get them to sprout at all. 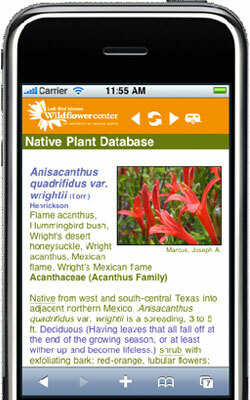 If the plant is not native and you have no website to resort to, you will need to do more research on the Internet. We usually find that Googling for "propagation of (name of plant)" gets us all kinds of information.